If you read my last post, you know that we just went to San Antonio, Texas on vacation. 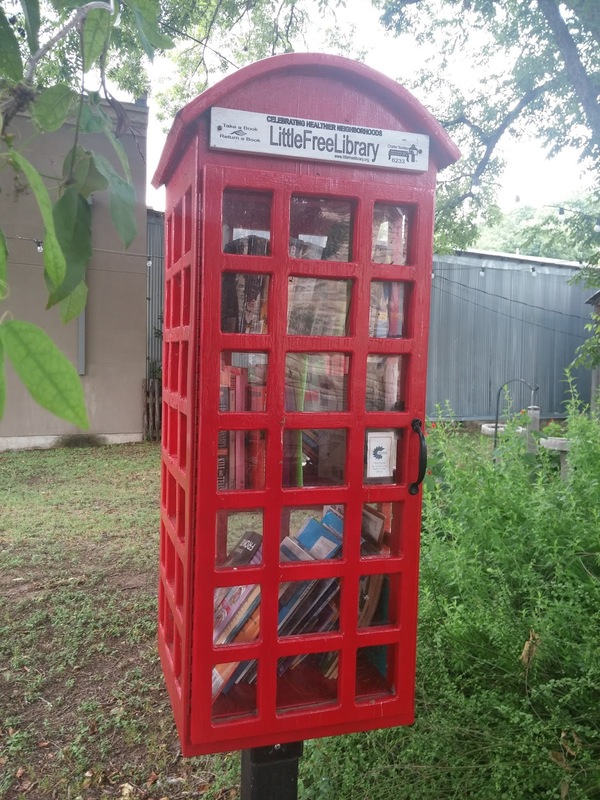 And if you’ve followed some of my regular posts, you also know that I’m a huge fan of Little Free Libraries and have made several Little Library tours. This trip was no exception, though my tour was reduced to visiting only two libraries in Boerne, a little town north of San Antonio, and they happen to be right close to each other. Here’s the first one and it’s a showpiece! Check out this awesome little phone booth. 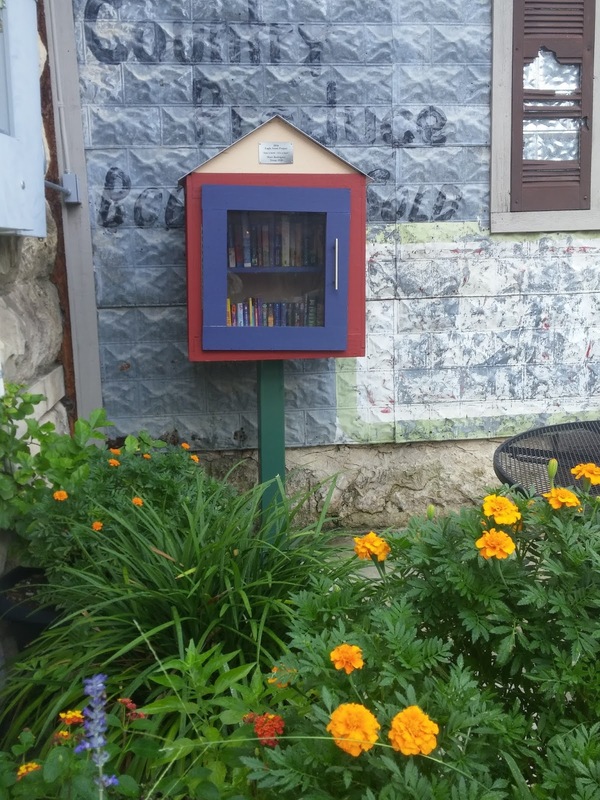 The second Little Free Library was right next to The Bear Moon Bakery and Cafe. Unfortunately, it was already closed. It looks like a pretty cool place. The Little Free Library was open, though and I left a charming book, Saving CeeCee Honeycutt by Beth Hoffman. Boerne (pronounced Bernie) is about 36 miles north of San Antonio. 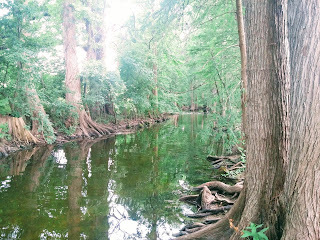 Our main reason for visiting Boerne was the Cibolo Nature Center. It’s a nature preserve with walking trails through various vegetation including tall native grasses, woodlands, and our destination, the Cibolo Creek Trail. 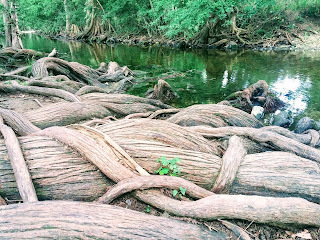 Towering cedars are anchored in a creek which makes you feel like you’re in a different world. I’ve never been to the Okefenokee Swamps in Georgia, but I’ve seen a few pictures, and the Cibolo Creek Trail reminds me of a mini, mini, miniature of it. Gnarled roots crowd over each other like snakes in a pit of water. It’s very unique. We came just as the park was closing, so we didn’t have much time to see anything else, but that was worth the stop. Another noteworthy stop north of San Antonio is the Natural Bridge Caverns. We took a tour 180 feet down into the caverns which are filled with jaw-dropping geological formations: stalactites, stalagmites, and flowstones. Some of the configurations have names like fried eggs, bacon, curtains, draperies, and soda straws. It’s an impressive sight to see over walkways, stairs, and even a bridge high above the massive natural structures. Pools of water have a glowing green appearance. It’s something I imagine to be right out of a scene from Jules Verne’s A Journey to the Center of the Earth. One of the chambers is as big as three football fields! We had been on a couple other cave tours, Jewel Cave and Wind Cave, both in South Dakota. On those tours it got a bit chilly inside, so we were sure to take our sweaters with us this time, too. Maybe we should have taken a clue from all the others around us with shorts and tank tops, because the cave is 70 degrees with 99 percent humidity. It is like walking in a sauna!! Next time, no sweaters. Also I’ll be sure to bring tennis shoes, instead of just the sandals I had packed. The walkways are sometimes steep and mostly wet, so it makes for a precarious hike without the right shoes. There are additional family-friendly attractions which we did not take advantage of. The Canopy Explorer Course is a 60-foot, four-tiered wooden structure where adventure seekers climb and grapple their way to the top with safety lines attached to them. Other separately priced features include gem and fossil mining as well as zip lines. As if that isn’t enough, there is also a Safari Park right next door. This is definitely a place families could spend a lot of time (and money) at. 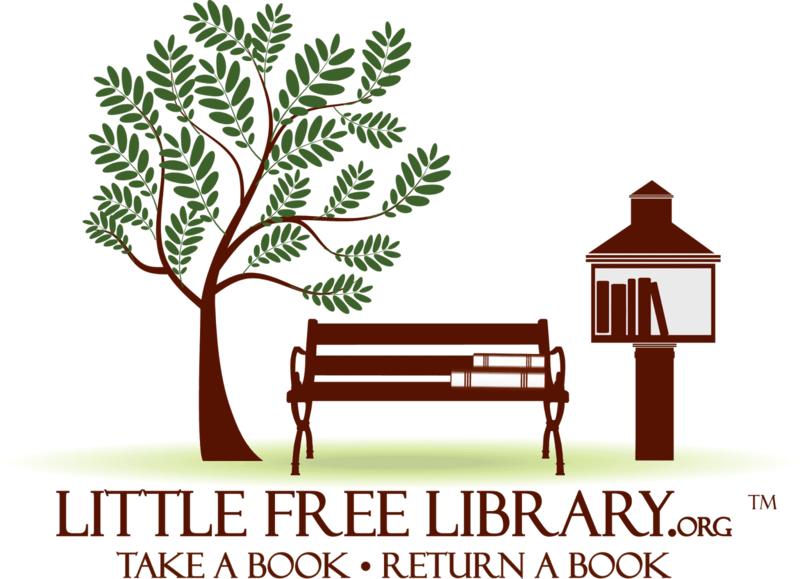 6/2/13 - Little Free Library in Coeur d’Alene, Idaho. 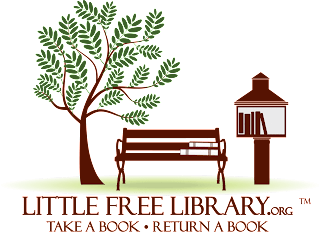 8/12/15 - Update on Coeur d' Alene Little Free Libraries.